Debonding Systems has a team of individuals who contribute to the product development, mechanical engineering, electronicss and field testing. The team offers decades of real world experience and expertise in all aspects of technology and practical field implementation. 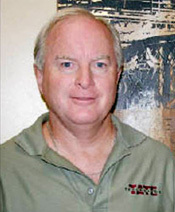 Lee Tate serves as president of Debonding Systems, Inc. Lee is founder and former president of Tate Technology, a PCB electronics manufacturing company located in Spokane, Washington. In 2006, Lee and Tate Technology spearheaded the technology and engineering development of the Pipe Debonder. Lee continues to lead all product development along with all aspects of sales and marketing nationwide.